I could scream, because the crochet doily I am working on is giving me fits. Instead I dove into a box of old crafting magazines to find something to share today. I found Twiggy! Isn’t she cute in that silly sweater? 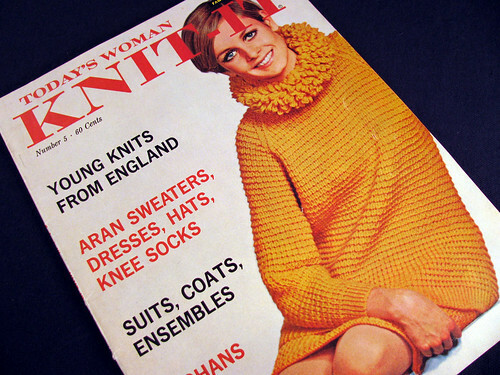 This magazine is full of Aran style sweaters with lots of cables and bobbles. I like the sleeveless cable dress. I think it would work nicely as a jumper too. 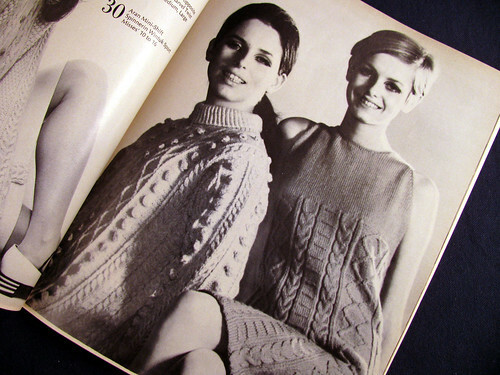 The drop stitch boat neck sweater on the left always catches my eye. 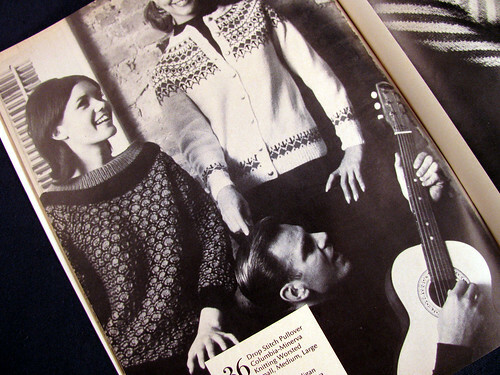 Boat neck sweaters aren’t as popular as they once were. Maybe it is time they make a comeback. This entry was posted on Wednesday, February 11th, 2009 at 3:00 am and is filed under Knitting. Tagged: Book, Knitting. You can feed this entry. You can leave a response, or trackback from your own site.